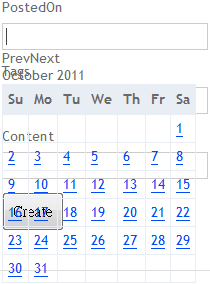 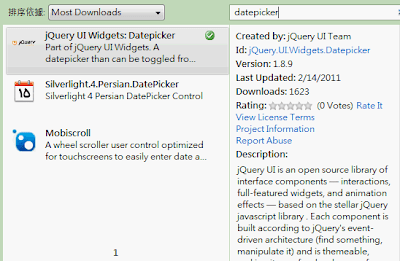 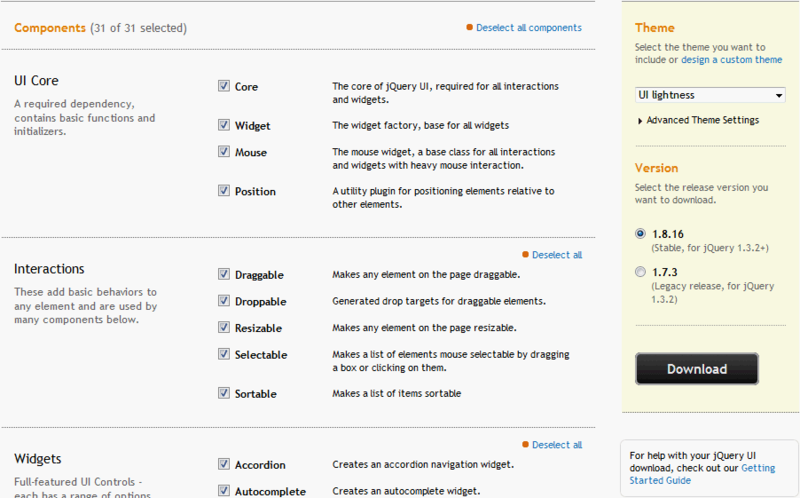 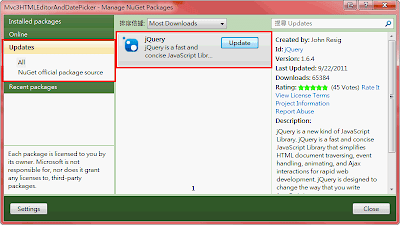 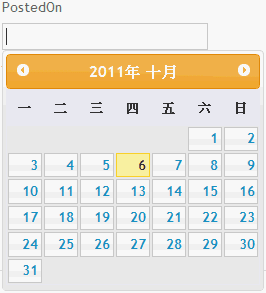 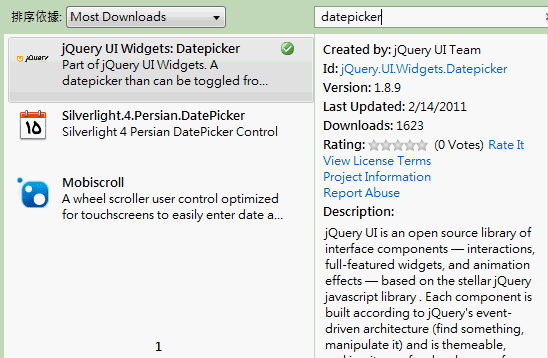 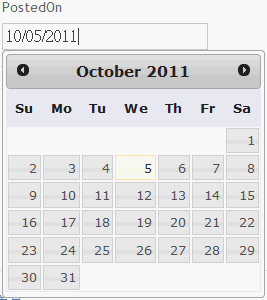 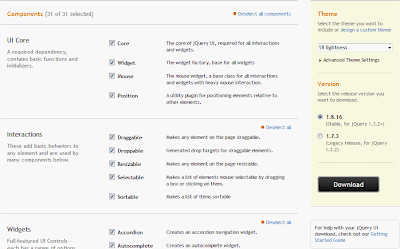 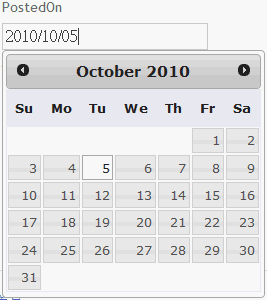 213 KB VS 40 KB，結果很明顯了，jQuery UI Widgets : Datepicker "Win". 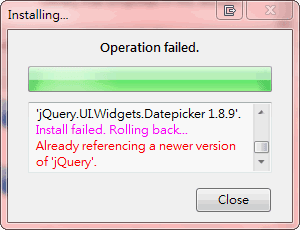 Attempting to resolve dependency 'jQuery (≥ 1.4.4 && < 1.6)'. 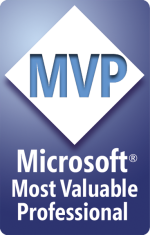 Already referencing a newer version of 'jQuery'.